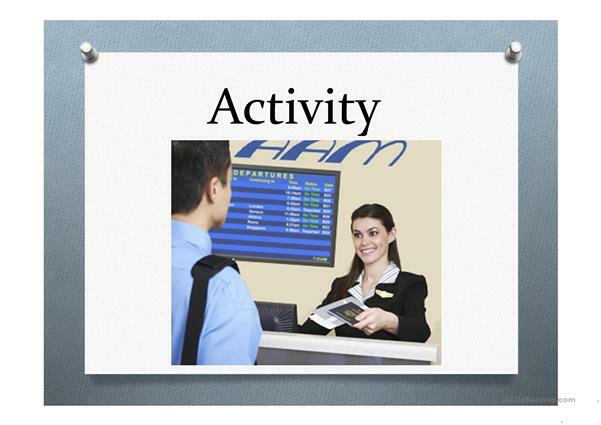 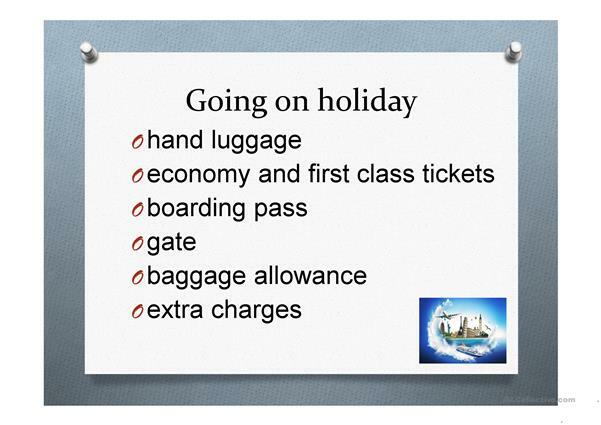 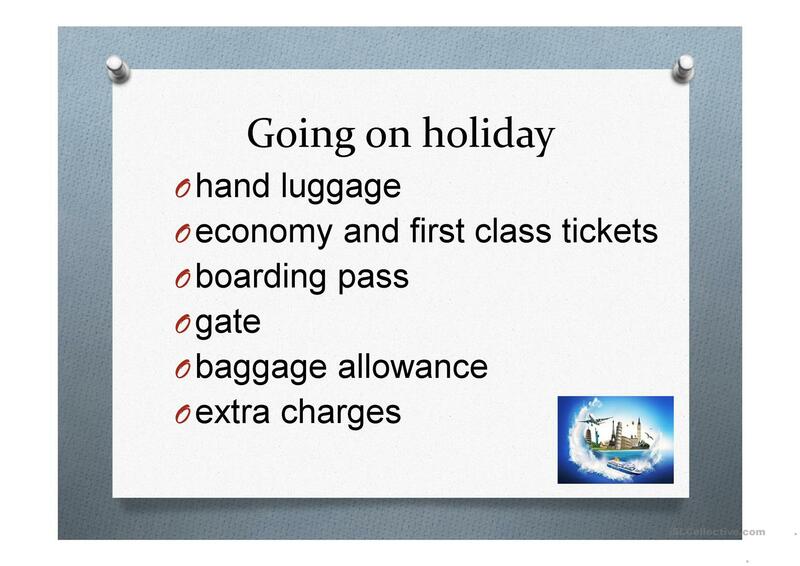 This is a PowerPoint about going to the airport. It has a listening activity and speaking activity. 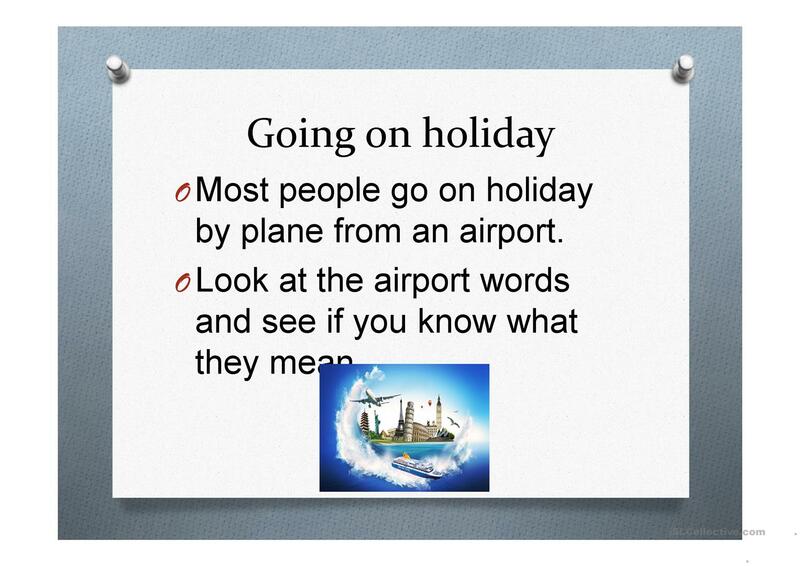 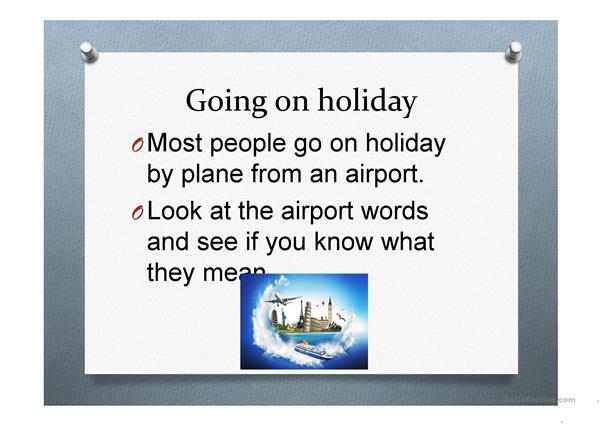 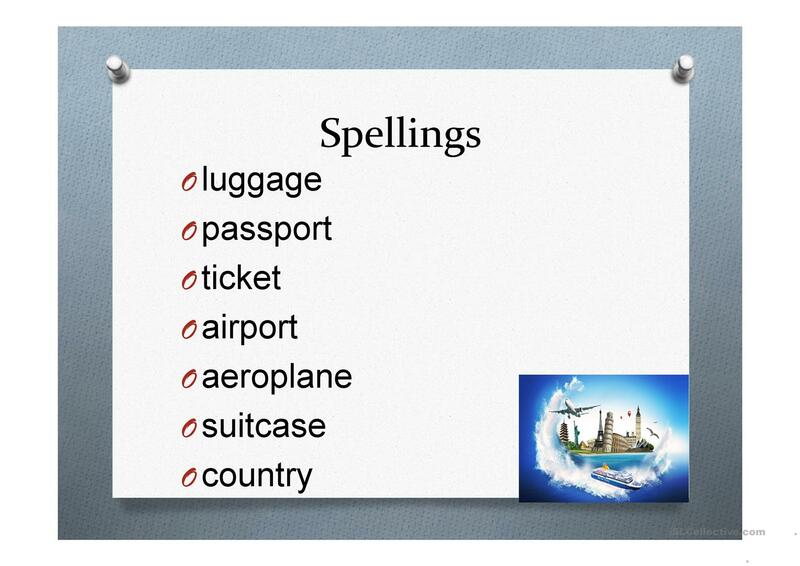 It also includes a 'what does the word mean' section that can be used alongside my airport worksheet on my page. 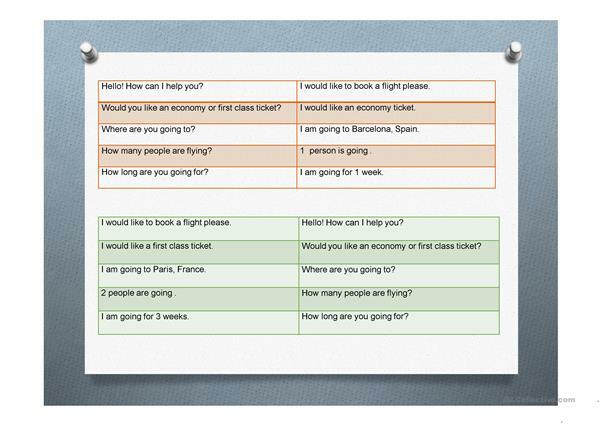 The present downloadable printable is meant for adults at Beginner (pre-A1) level. 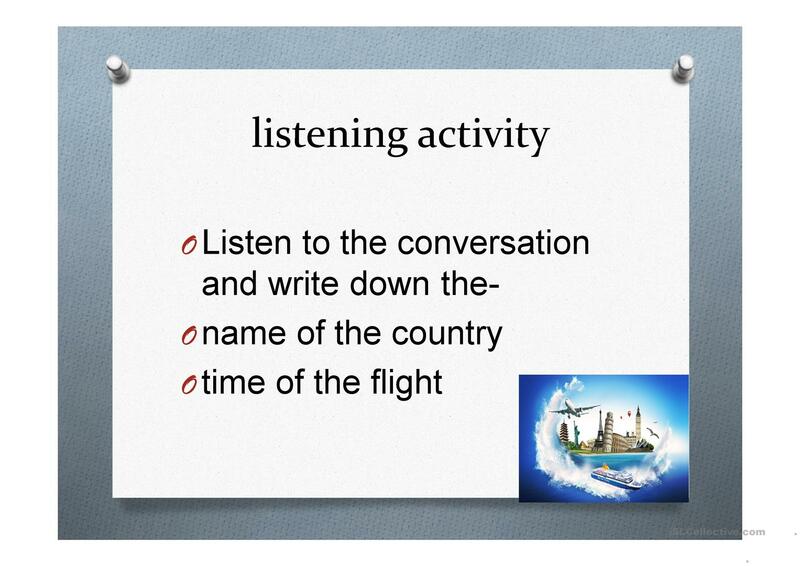 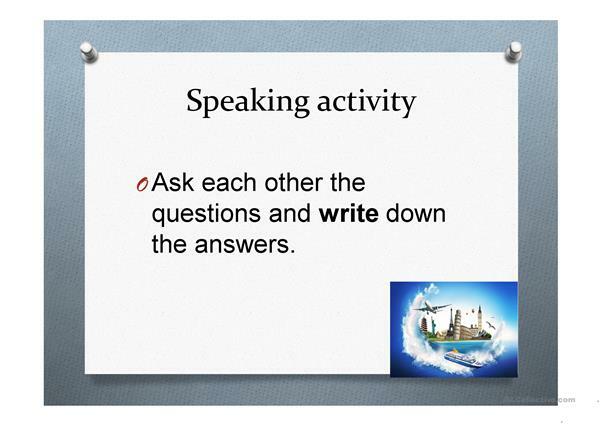 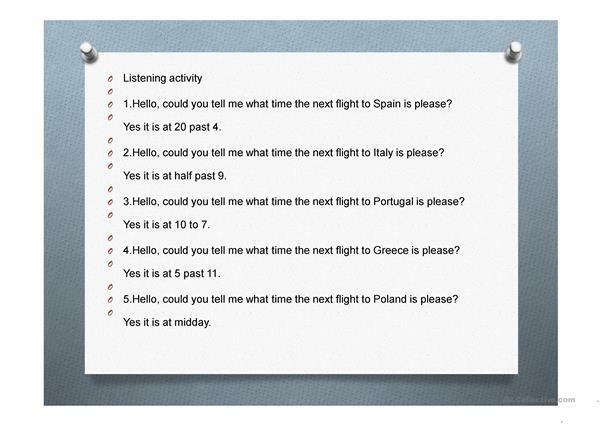 It can be used for strengthening your class' Listening, Speaking, Reading and Writing skills. 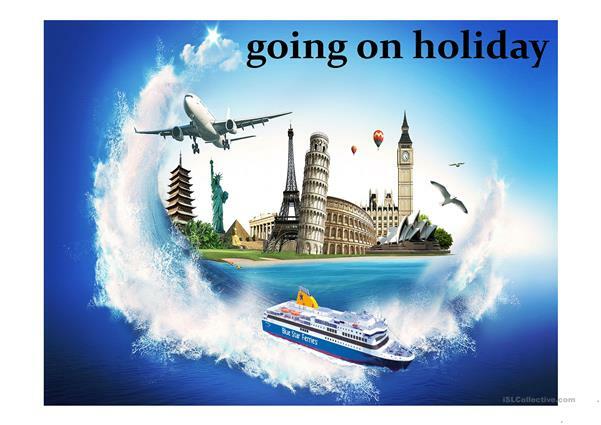 It is focused on the theme of Holidays.